There are many possible capsule and tank geometry types and arrangements. It is very helpful to assess the performance of capsule arrangements, shapes, and flow field configurations. For this purpose, a general tool will be needed to assess the heat transfer which takes place between the capsules and the HTF and evaluate how efficient the process is. Then any shape and configuration can be assessed and thus help the designers and manufacturers offer more energy saving TES systems. 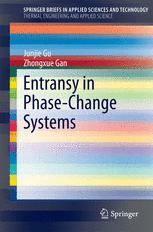 In this chapter, thermal assessment parameters for TES system performance are introduced including nondimensional TES equivalent thermal resistance, equivalent temperature (potential) difference, number of transfer units (NTU), and synergy density through a heat exchanger approach.